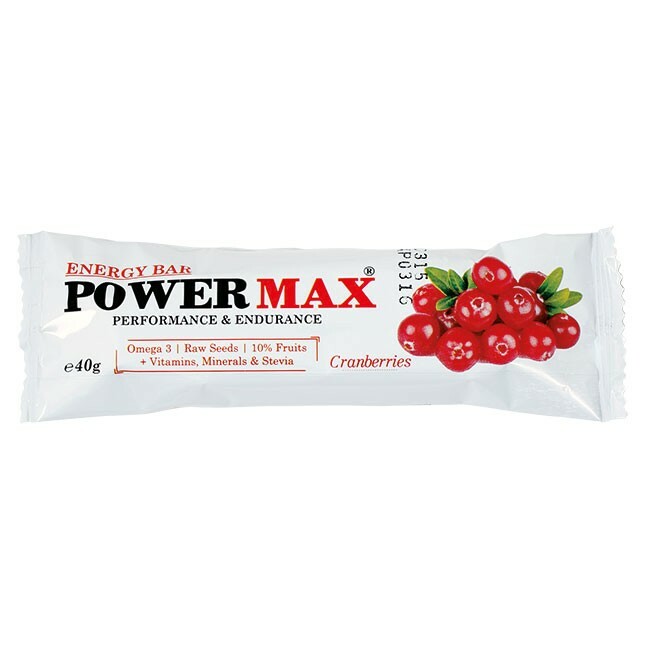 Power Max is a different energy dessert. 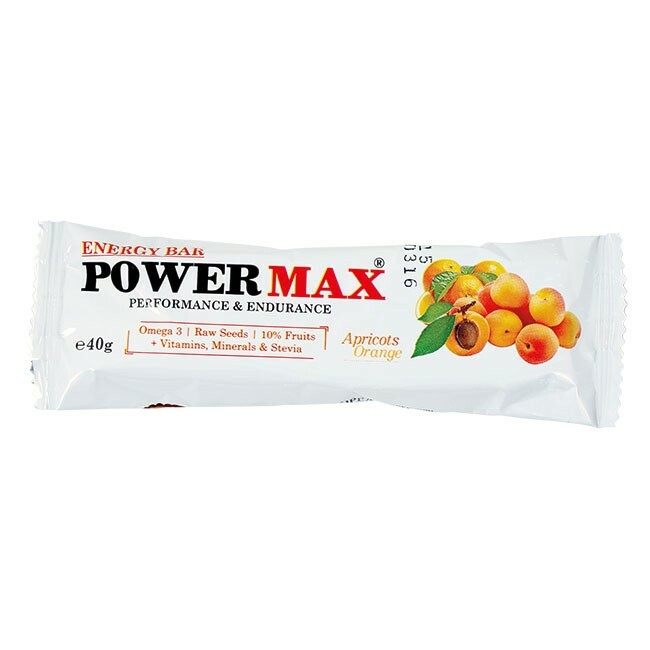 With its predominantly milky flavor and complex carbohydrates, PowerMax gives you energy before and during exercise. It contains at least 10% fruits, raw cashew, flaxseeds, chia and quinoa. 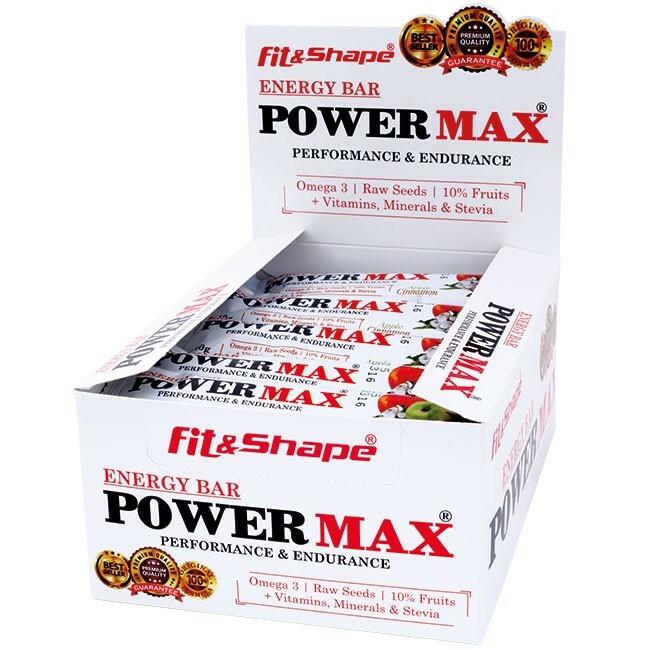 We have carefully selected these natural ingredients and we have also sweetened it with stevia in order to emphasize its completely healthy character. 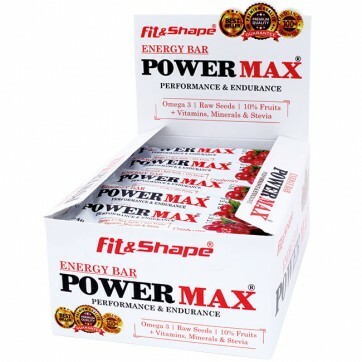 For even greater endurance, we have added a complex of vitamins, minerals and anti-oxidants. We know that any physical activity is associated with sweating and inevitable loss of electrolytes. 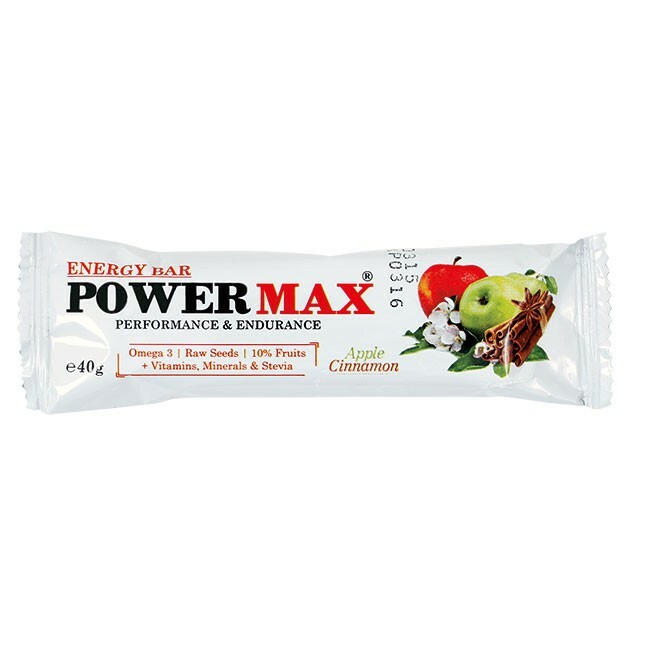 With Power Max you will always be full of energy for a complete workout. 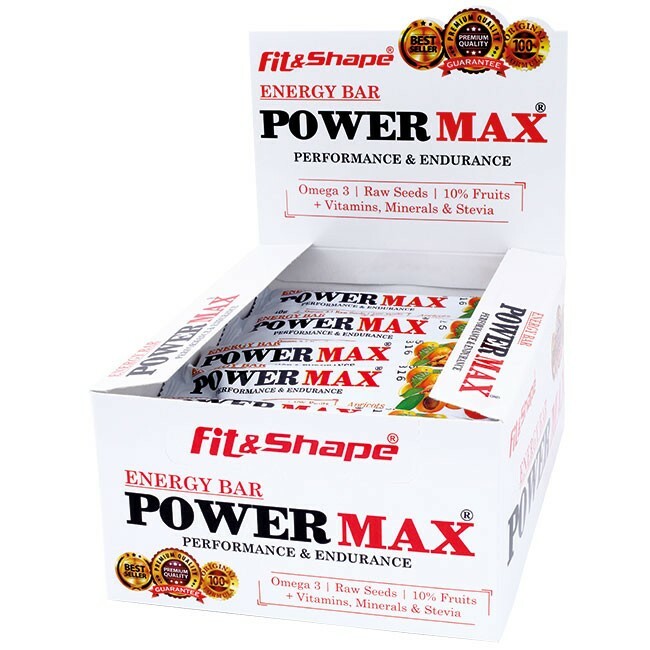 Take one bar 30-15 min before workout for more energy and endurance. If consumed during exercise, it keeps glycogen levels high. When eaten after the workout, it supports muscle recovery. Glucose-fructose (2:1), maltodextrin, palatinose, waxy maize starch, crunchy crispy (rice flour, corn flour, vegetable oil, sugar, salt), natural fruit content (minimum 10%), raw cashew nuts, soy protein isolate (soy), inulin (dietary fiber), sweet whey (milk), sorbitol, coconut oil, raw seeds (flax, whose, quinoa), stabilizer: xanthan gum, aroma, sweetener: stevia, salt. 179kcal/687kJ; Fat: 6 g; Carbohydrates: 21 g; Protein: 7 g. | VITAMIN A [800 mcg], VITAMIN C [80 mg], VITAMIN E [12 mg], VITAMIN D [5 mcg], THIAMINE [5.5 mg], RIBOFLAVIN [1.4 mg], NIACIN [16 mg], PYRIDOXINE [7 mg], FOLIC ACID [200 mcg], VITAMIN B12 [25 mcg], BIOTIN [50 mcg], CALCIUM [80 mg], MAGNESIUM [57 mg], ZINC [5 mg], SELENIUM [35 mcg], COPPER [1 mg].